Whether for home, business or industry, Smart Sparx Electrical can custom design and install a solar system to suit your specific needs. From solar powered hot water systems through to full off-grid solar power options, Smart Sparx Electrical has the solution for you. Smart Sparx Electrical offers a fully professional solar service, from advice and consultation to installation, to ensure your complete satisfaction. Every system is designed and built to suit your unique solar requirements. We are responsible for every stage of the installation process and employ only fully licensed installers experienced in the solar industry. Utilise the sun’s energy – generate your own electricity! Installing solar power means you will experience the financial benefits immediately of saving money on your electricity bills. Smart Sparx Electrical uses products and components of the highest Tier 1 ranked quality, all under full warranty and compliant with New Zealand Standards. Smart Sparx Electrical also supply and install LED lighting products which can reduce your lighting electricity consumption by up to 80%, along with energy efficient Heat Pumps to make your home nice and cosy. For an obligation free quote or more information, contact Smart Sparx Electrical today! Battery systems help to significantly reduce your electricity bill. Matching a system size to the correct battery size to best fit your family living requirements is essential. Battery systems include Tesla, LG Chem and Emphase. Going off grid has a number of really important considerations. The goal is to minimize the electrical load as much as possible, thus saving on-going running costs. There can be multiple energy systems integrated with a Solar system to create a true off-grid solution, such as Go Gas for cooking and water heating, Diesel boiler for central heating and hydronic heating (reticulated hot water system). Smart Sparx Electrical offers smart integrated solutions that not only save on running costs but are cost effective to install as well. Smart Sparx Electrical can review your home or business and provide full energy management consideration for both residential and commercial clients. We ask questions like how does your family like to live? When does your family use the hot water, when do you use most of your heating? All these things are considered when creating a domestic solar solution for your home. For businesses we ask how your business is run and operated. Business operation times and automated load managements are just a couple of things considered while we review your commercial premises. Smart Sparx Electrical can provide solutions for savings on lighting, hot water consumption and heating systems. We are able to better manage energy use to swimming pools, spa pools, garden lighting etc. You name it, Smart Sparx can control it to provide you with the most efficient use of your energy. 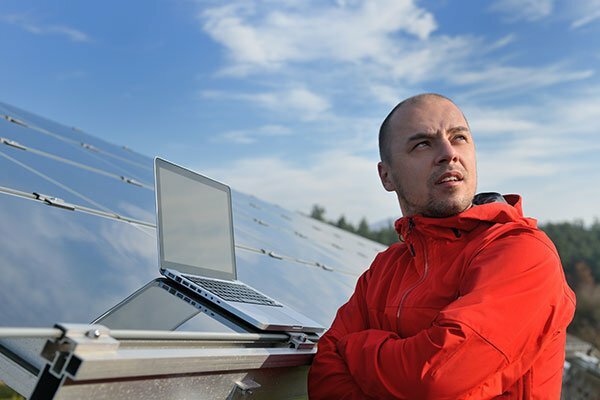 All of our Solar Power installers are certified tradesmen specializing in Solar Power and Solar Heating. We only use solar products and components of the highest Tier 1 ranked quality. All products are under full warranty and are compliant with New Zealand standards. All solar panels have a 10 year physical warranty and 25 year performance warranty. Our quotes have no hidden costs or extras – Smart Sparx Electrical delivers solar solutions on time and on budget – every time! Smartsparx were recommended to me by a friend to do my renovation. John first met with me onsite to go through the different options I had and gave me useful recommendations with upgrading my existing services, lighting design and heat pumps. They worked efficiently and consciously and would highly recommend the Smart Sparx team.